Major Indigenous art exhibitions and/or art fairs are opening this month in Queensland and Western Australia – two, in fact in Queensland, headed by the annual Cairns Indigenous Art Fair this weekend. As I wrote earlier, CIAF is exploring the theme ‘Family Values’ this year, has extended its market over three days (Friday to Sunday), and has solo shows for Daniel Boyd tracing the hidden history of slavery in Far North Queensland - by Teho Ropeyarn’s presenting an overview of Injinoo culture and history from Northern Cape York, by artist Gail Mabo (Eddie's daughter) presenting a new body of work based on Torres Strait Islander nautical navigation through astronomy, by artists of the newly formed women’s painting group at the Wik & Kugu Art Centre, and of the TSI tradition of the Dari (or Dhoeri), which is the distinctive ceremonial headdress of the Torres Strait worn by men. Three respected judges have been announced to make the selections: Maude Page, Deputy Director, Art Gallery of NSW, Tina Baum Curator of ATSI, Art National Gallery of Australia and Tony Albert, FNQ-born artist. Meanwhile, the success of CIAF and its partnership with Ports North who house the Fair has been recognised with a win at this year's 2017 Queensland Reconciliation Awards. The following weekend, down south in Brisbane, the QAG opens a major exhibition of Aboriginal art, 'Sung into Being: Aboriginal Masterworks 1984-94’ including more than 100 paintings and sculptures by eight artists from the Janet Holmes à Court Collection. Diane Moon, the show's curator, describes ‘Sung into Being’ as giving particular focus to Rover Thomas, one of the first Indigenous Australian artists acquired for the Holmes à Court Collection. “Thomas is a renowned figure. He forged new conventions in Aboriginal art and created new opportunities for the east Kimberley school of artists. He also opened the way for the general acceptance of Aboriginal art both nationally and internationally”, Ms Moon said. 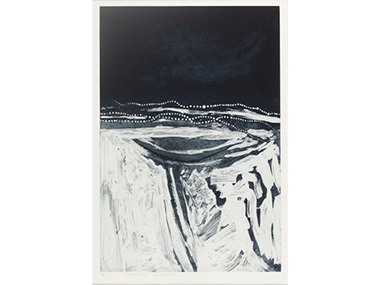 “Two of Thomas’s major works featured in the exhibition are Djundugal (Rainbow Serpent) Dreaming Place (1986), and The shade from the hill comes over and talks in language (1984)”. ‘Sung into Being’ also includes two important series of paintings by brothers-in-law Jack Wunuwun (1930–91) and John Bulunbulun (1946–2010), depicting their clan manikay (song cycles). An ambitious canvas painting by Wunuwun of the Banumbirr (Morning Star), the Murrungun people’s creation narrative, is expanded in 30 exquisite small bark paintings representing elements of the song and dance sequence. Bulunbulun’s series is a strong contemporary interpretation of the Ganalbingu people’s Murrukundja Manikay – the ceremonial songs and dances that tell the history of Macassan visitors to northern coastal Australia. 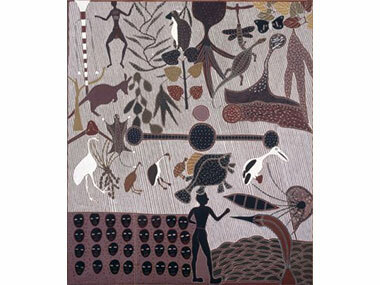 Diane Moon worked with both artists at Maningrida when they were creating these works. Other highlights in the exhibition include England Bannggala’s dynamic paintings featuring mythological events and the Wangarr (spirits) that created his lands. ‘Sung into Being’ is on at the Queensland Art Gallery from 22 July until 22 October, 2017. In Perth, a major transformation is occurring in the way the WA Gallery shows Indigenous art. The new Six Seasons Gallery (named after the local Noongar six seasons) is a space dedicated to the display and interpretation of Aboriginal and Torres Strait Islander art from the State Art Collection. And opening in it on 29 July, the first displayOutside: Matters of the heart in Indigenous art presents works conveying the beauty and importance of the land and environment to Aboriginal people. Through works such as Mervyn Street’s triptych, Bull ride (2015-2016) and Queenie McKenzie’s painting Holy Spirit Corroboree (1995), the exhibition touches on some of the practices and rituals that connect people to Country. The exhibition also alerts viewers to the history and experiences of being an outsider in white Australian society. Danie Mellor's Paradise garden (Different country, same story) 2012 presents a utopian paradise – a rainforest reminiscent of his FNQ ancestry – in a style more commonly associated with the Willow patterns on English Spode Chinaware. His work reminds us of Australia's dual and multiple histories, but also quietly confronts the darker narratives of exclusion, expulsion and dominance that occur when people and cultures collide. 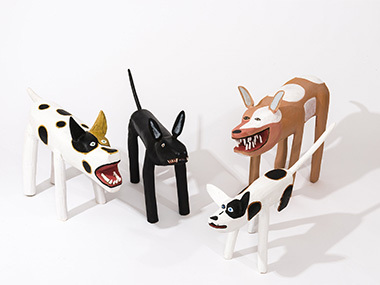 "Outside brings together two bodies of work that Indigenous artists are celebrated for – expressions of Country and drilling into the whys and hows of our continuing inequality," says Carly Lane, AGWA Curator of Aboriginal and Torres Strait Islander Art.”These two subjects go hand in hand, and have done so since the arrival/invasion of Captain Cook”. This display of paintings, photography, drawings, prints and sculpture also presents works by artists Lance (Tjyllyungoo) Chadd, Gunybi Ganambarr, Lena Nyadbi, Tiger Palpatja and Shane Pickett, who, together, bring the idea of 'outside' inside for all of us to see. AGWA Director, Stefano Carboni commented, "Our aspiration with Six Seasons is to dramatically change the way we present and share Indigenous art with visitors to our Gallery and around the world. The Art Gallery of WA, with more than 3000 artworks, has one of the strongest collections of Aboriginal and Torres Strait Islander art in Australia. So this new Gallery space will be for the ongoing display of Indigenous art. And, as part of the Six Seasons project, we have embarked on the ambitious plan to digitise our Indigenous art collection, supported by a grant from the Gordon Darling Foundation. The first phase is underway with 150 key works available online by spring 2017”.